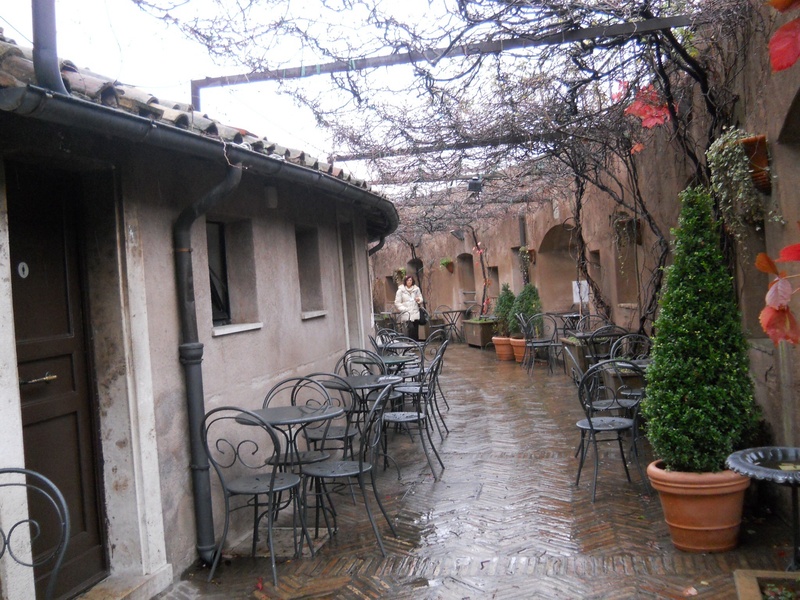 What is there to say about Castel St. Angelo? For those of you who have seen the movie by the same name, Castel St. Angelo is where the bad guy was holding the kidnapped Cardinals, in jail-like cells. Although I never came across these cells, I would not be surprised if they actually existed. You see Castel St. Angelo was at some point a fortress. The Mausoleum of Hadrian, (he who built Hadrian’s wall and Villa) usually known as Castel Sant’Angelo (English: Castle of the Holy Angel), is a towering cylindrical building in Parco Adriano, Rome, Italy. It was initially commissioned by the Roman Emperor Hadrian as a mausoleum for himself and his family. The building was later used by the popes as a fortress and castle, and is now a museum. 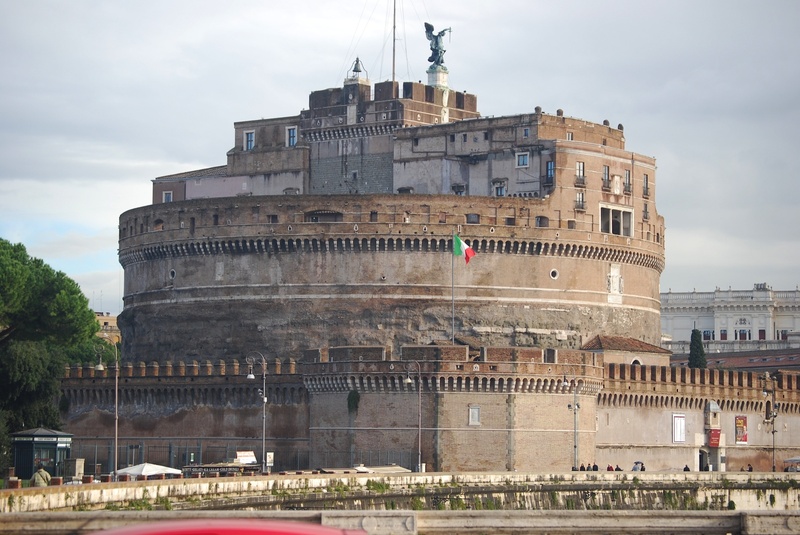 The Castel was once the tallest building in Rome. The first time we visited Castel St. Angelo it was a very warm and sunny day. I was determined to see all that I could, and climbed staircase after staircase after staircase. Frankly, it was a very confusing place for a directionally challenged person like myself. There were staircases that you could go up but not down, and vice versa. I left Frank behind as I foraged ahead on to the roof, as I was not going to be denied the scenic view, and let me tell you, I was not disappointed. The only problem was that it was a very hot day, and there was no shade to cool down after that climb. 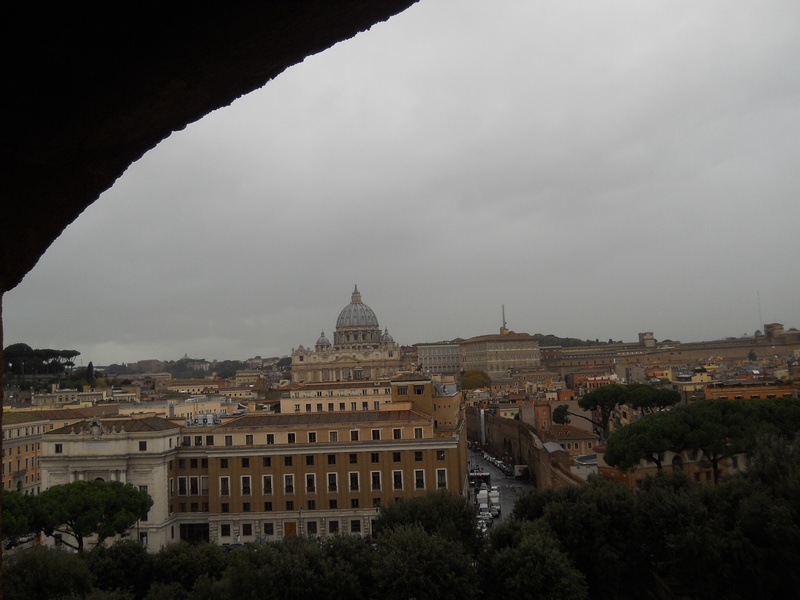 The view from halfway up… the dome you see is the Vatican. This picture was taken on our second adventure there, November 30th 2012. And then I could not find the staircase to take me back down. There was the one that took me to the top sure, but that was only for arrivals and not departures. Eventually, I did find the down staircase at the other end of the rooftop. It was well concealed by another structure that kept me from spotting it right away. And so, our second visit was a little different from our first. The weather was much cooler and wetter. After purchasing your ticket the entrance leads you into a circular underground like setting. There is minimal lighting and the walls are stone. Round and round you go, up-up-up. I looked at Jen to see how she was faring with her injured ankle, but she waved me off with a smile. Still, I could see that she was trying to be brave and enjoy the moment despite the pain she was enduring. We knew that we were finally getting somewhere when we came to the site of an Egyptian statue. It looks eerily out of place there…. But then again, so,were we. Having reached the beginning of what must have been the living quarters, were were ready for a rest, and a cup of coffee. Boy, were we ever in for a treat. 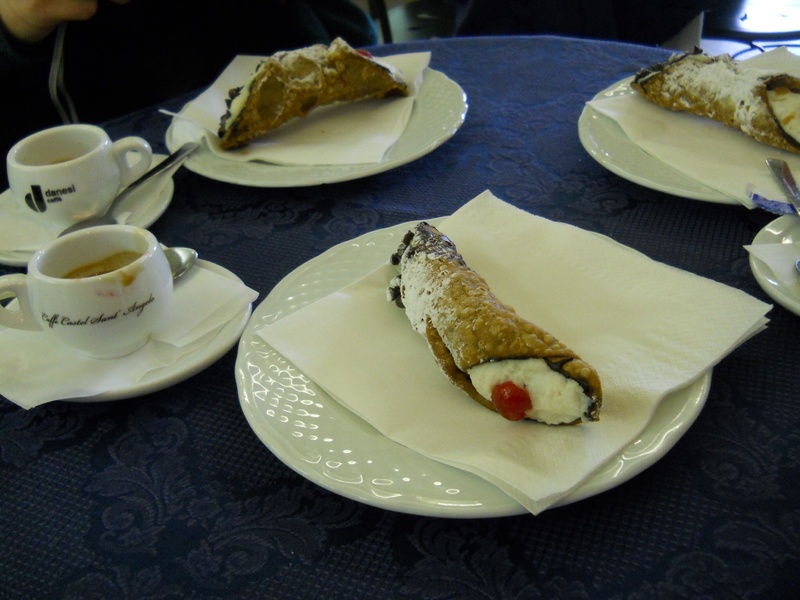 After we get back home, a Tim Horton’s coffee with Timbits just wasn’t the same after this. Even so… Just let your eyes feast on this vision for awhile.